You already know how much more effective your customer-facing processes are when you have a modern CRM solution like Salesforce. So why does your company still keep so much customer information — and run so much of your business — on an old ERP system? Imagine the competitive advantage you would have if you could unify all the customer data in your CRM and ERP systems, and get the business-boosting insights that come with an end-to-end picture of each of your customers. If that sounds impossible, you need to see Rootstock Cloud ERP built on the Salesforce Platform in action. Tom Brennan is Rootstock’s CMO. Tom has 30 years of professional experience working in ERP and for business software companies. 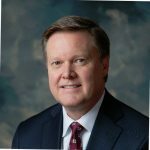 He has been a long time evangelist of cloud computing and has held many executive roles including several years as the Senior Vice President of Marketing at FinancialForce. 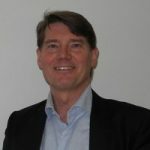 Peter Adolfsson is the Sales Director Nordics, UK & Ireland with Rootstock. He has over 30 years of experience with ERP, CAD, PLM and supply chain in various sales and management roles with major software providers. David Burton is a Senior Solution Architect with Rootstock. 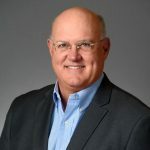 He has over 30 years of experience with ERP and supply chain planning solutions as a user, implementer, management consultant and in various sales and sales consulting roles with major software providers.